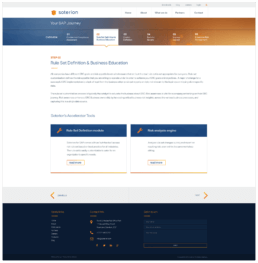 This website was designed for Soterion Technologies, a company specializing in helping companies maximize their Governance, Risk, and Compliance (GRC) processes. 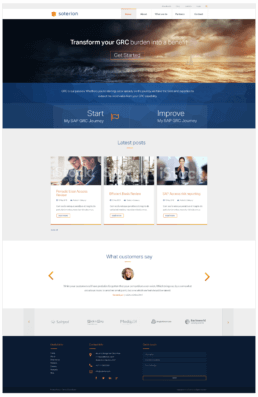 The aim of the website was to create a template that they could use to manage their website in-house. It had to be able to comfortably deal with huge quantities of information, that fluidly adapts to the structure of the website.